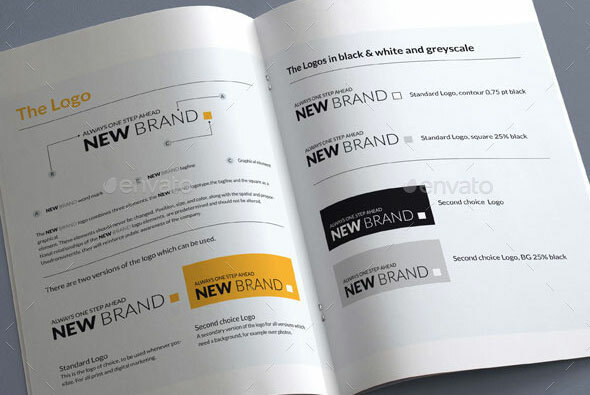 A brand manual or a brand guide is the visual representation of the document that describes what your brand conveys. It can be fonts and style of your logo, grammar, tone and point of view. It must also clearly define the rules about what other channels need to take care of when presenting your brand. The purpose of this is to give everyone whose job it is to create these materials specific, easy-to-follow guidance so that, all materials produced for a brand have a consistent look, feel, and attitude, and all materials are adhering to the copyrights and trademarks for the brand. 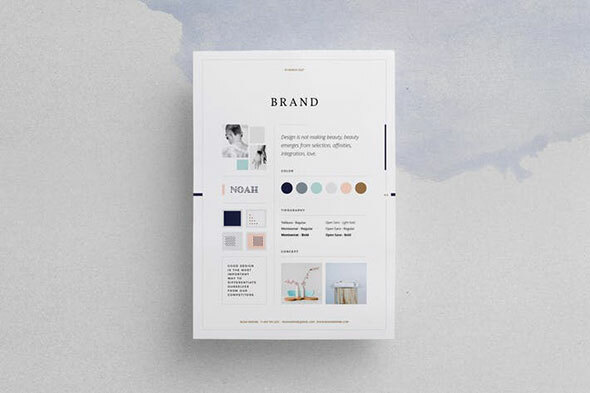 So in this post We`ve compiled a list of 30 Painstaking Brand Manual Templates that you can download or use as inspiration for your next branding project. Check them out below. 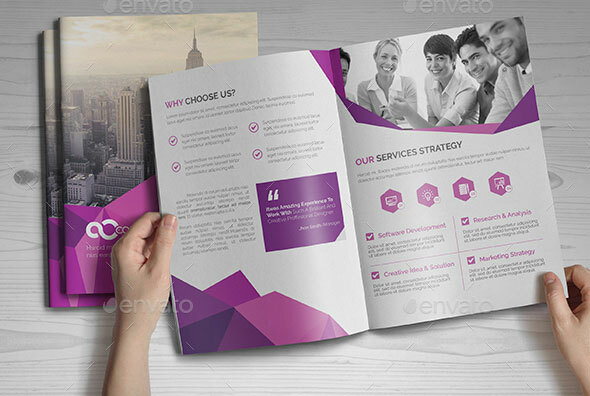 This Brief Brochure Design is a clean, creative and minimal design that match with nearly every corporate identity. Give your customers information about your company and your products in an easy and modern way to show how professional your company is. Provide your customers information about the agency`s corporate identity in a simple and creative way with Design Branding. An InDesign Template created as a complement to the Design Proposal, while keeping the same style and design, so you can combine them as a pitch for a business meeting. It can be used for any business purpose or others Projects. You can easily customize this template, all elements are ready, just import your information. The Brand Manual Indesign template is designed with a minimal aesthetic in mind, perfectly suited to fashion or lifestyle branding. 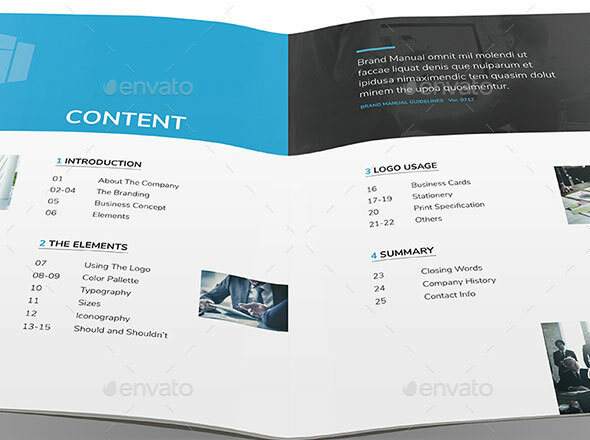 Inside the .zip folder are two page sizes, so regardless of where you are based you won’t have a problem printing the Brand Manual. Colors are easy to change using the color palette, making it very easy for you to change to your brand colors. 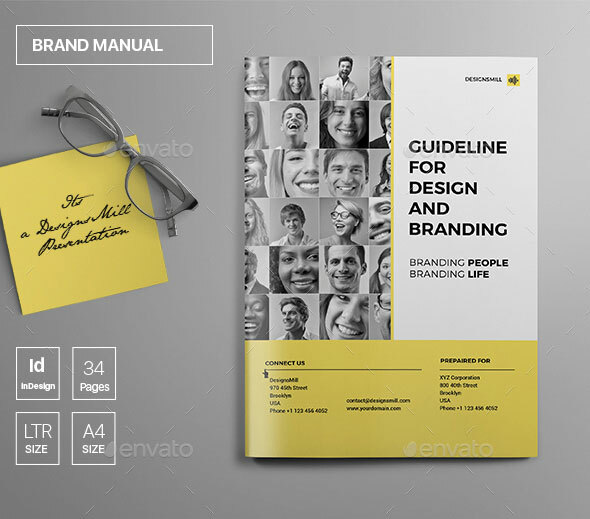 Minimal and Professional Brand Manual and Identity Brochure template for creative businesses, created in Adobe InDesign in International DIN A4 and US Letter format. 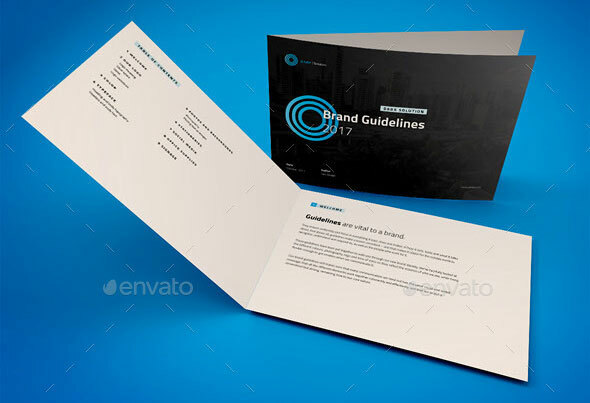 The document you need to present your Brand Guidelines in a clean and professional way. Drop in your own text and logo, send it to the printer or attach it to an email as pdf file or use as presentation. This informative guide helps both designers and client implement their brand across a range of media. This informative guide helps both designers and client implement their brand across a range of media. 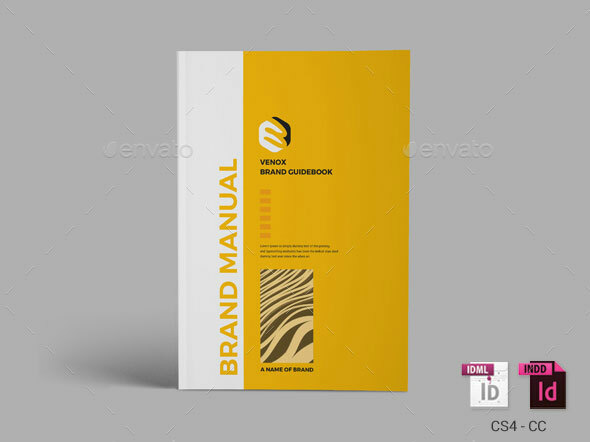 This is 24 page Brand Manual Template is for designers on design product/graphic design portfolios and agency based projects. Just drop in your own images and texts, and it`s Ready to Print. 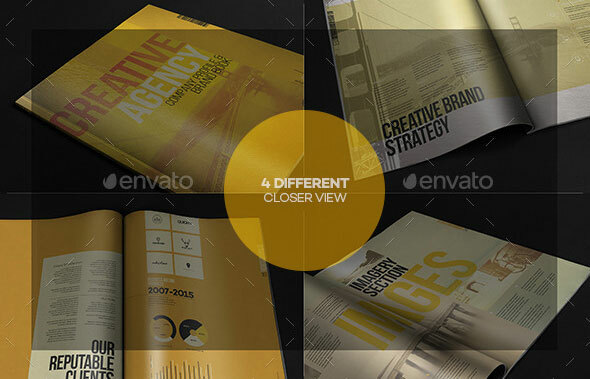 Contains 2 Versions, one light & one dark Includes brand assets, logos / stationery templates Character & paragraph styles Color swatches for simple color editing through whole document Images, text and backgrounds are separated on different layers. Change the colors, fonts or use it as a starting point, the tools it provides will make your work have a bold modern look. With 28 unique layouts spreads to rearrange. With One-click apply Master Pages changing the name of the chapter on each page and the automatic page number. Editable and ready to print in Adobe InDesign. Visible swatches with proper text area, and cropped placeholder for photos. 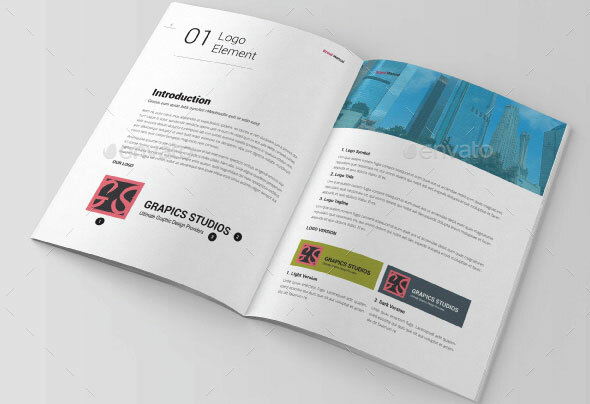 It has all the features you’d expect in a professional Indesign template, Also you can easily add or remove pages to your client or company. 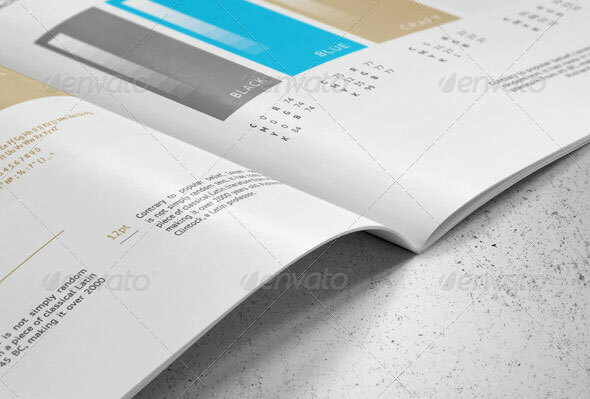 It`s a 26 page Clean Brand Book template is for company or office and agency based projects. Just drop in your own images and texts, and it`s ready to Print. 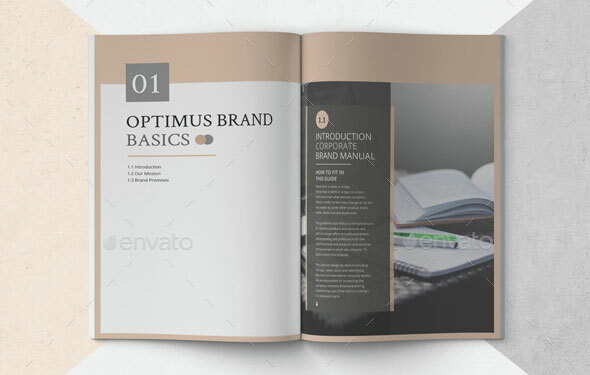 this Brand Book Report is loaded with paragraph/character styles for easy customization. 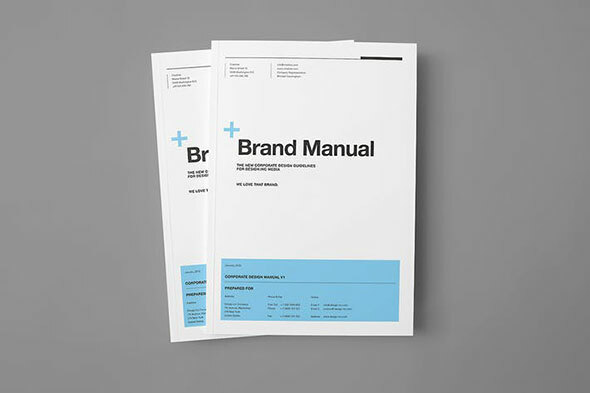 Very Clean and Simple Brand Manual It’s a very unique report template for modern business. 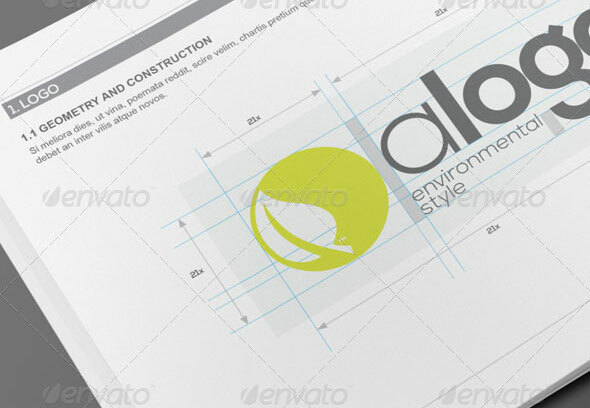 This Photoshop template can be used for any kind of corporate branding. The files are fully editable and print ready. You will also get the logo, the business card and 3 rubber stamps EPS file. 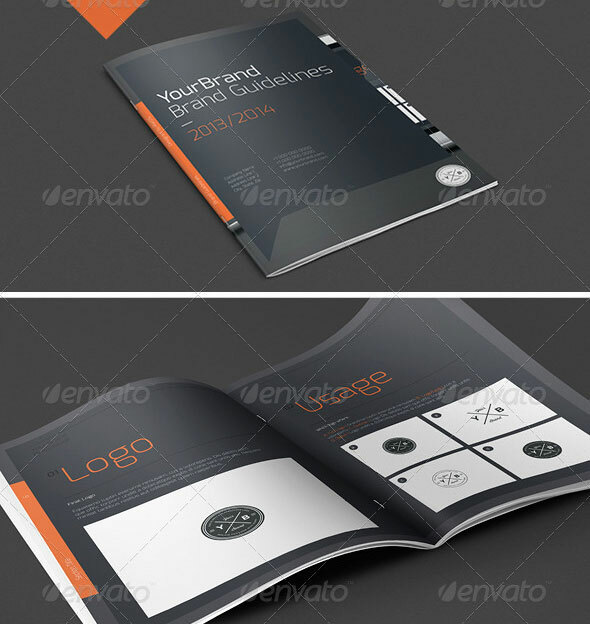 Ready Made Brand Manual template with latest branding approach and technique for corporate identity branding and creative ideas. 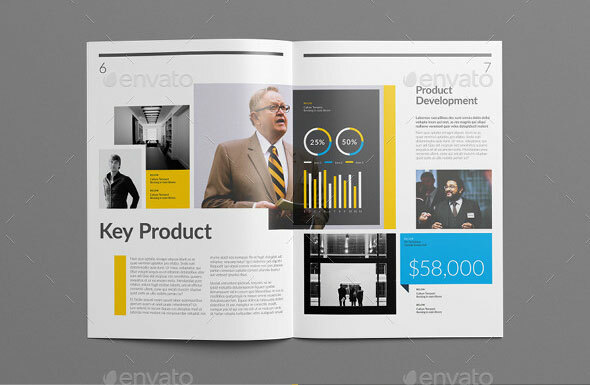 Modern and informative Indesign brochure template for individuals or companies looking to present their company figures, structure and work over a period. It has a modern twist to the text usually included in boring branding documents and is perfect for those looking something a little different. 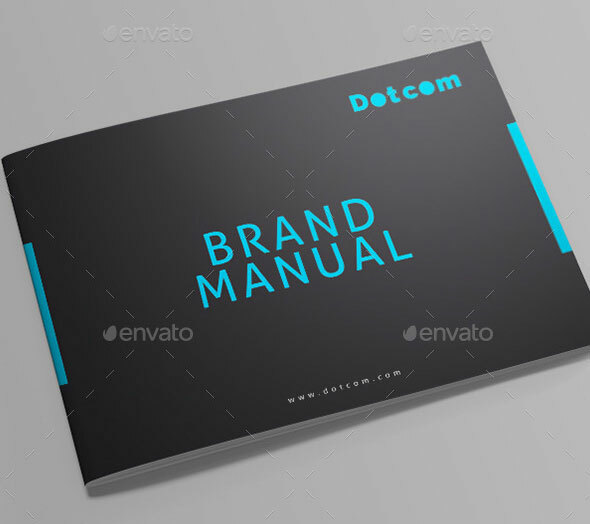 A clean and well organized corporate brand manual template which is designed to serve your purpose properly ensuring high quality. 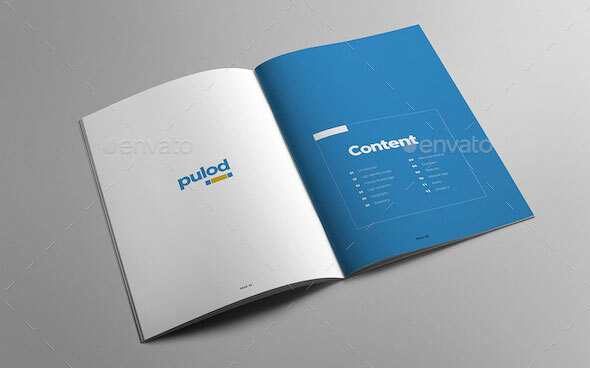 Highly standard typographic hierarchy and design gives the brand manual professional and dynamic look. 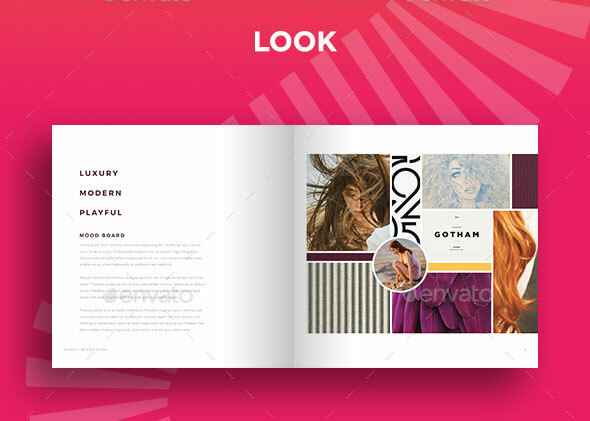 This is a high quality Indesign brochure template with a solid and dependable look and feel which is perfect for startups, corporations, businesses and non-profits to show their brand in an organised and professional way. It comes with a cover and back design and includes five full spread designs. 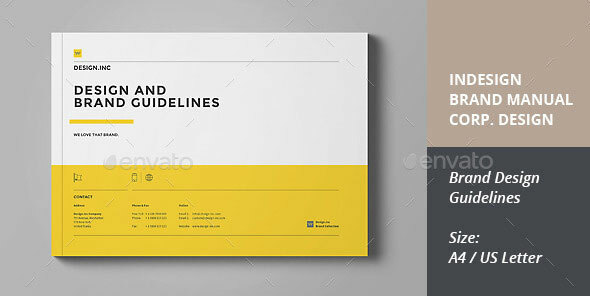 Horizontal Brand Book Guidelines – essentially a set of rules that explain how your brand works. 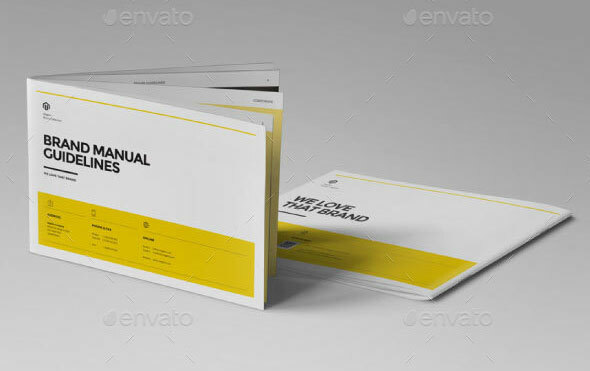 This is a clean and modern brand manual guidelines book for your business. Features: A4 and U.S. Letter Sizes Indesign format .Indd .IDML Downloadable free fonts: Nunito Sans Ready drop-marks and bleeds Live preview is available on issuu. Please click here Please note that all images seen in preview will not be on the main files. However, the sources to get them are noted in the help file. 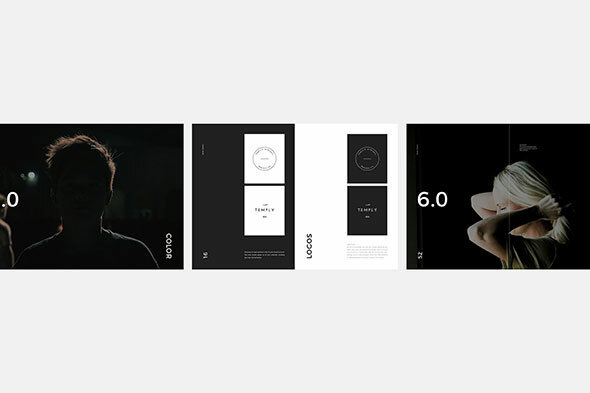 Minimal Brand Book Designed using Adobe Indesign format, minimal and elegant design. 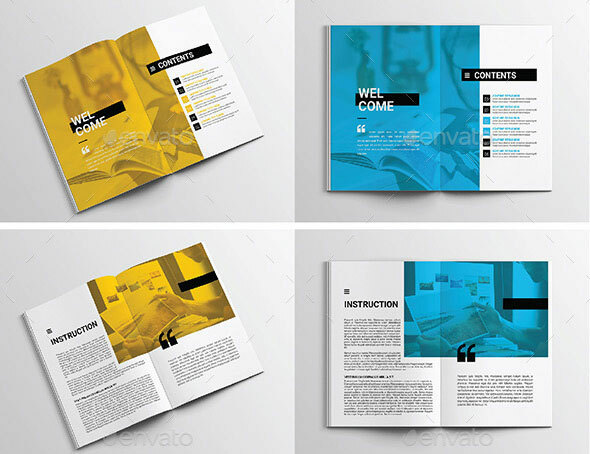 Each page features unique layouts with contemporary typography. Template created layered, very easy to adjust. All text can be edited and is equipped with a place for your own picture. 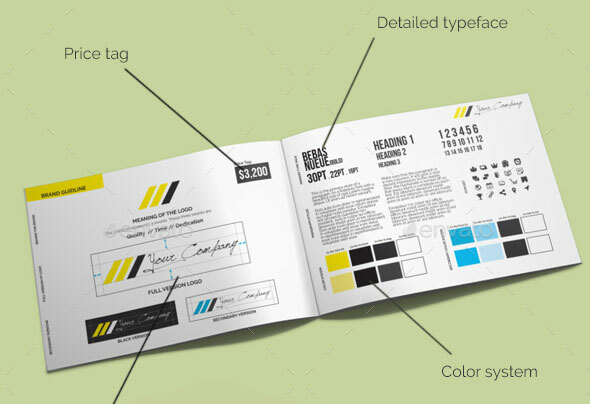 Combine them as you wish, this way you can create a complete brand guidelines that best fits your client/logo needs. 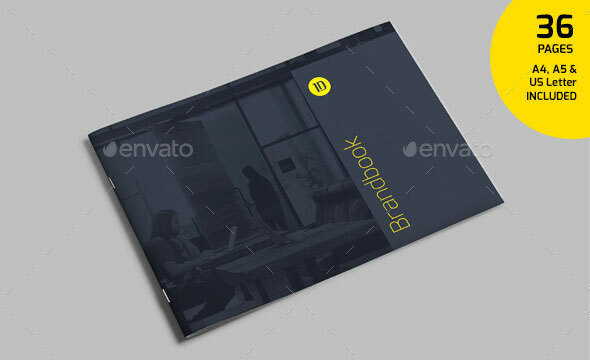 This brandbook template goes into every details of a brand guidelines from start to end. 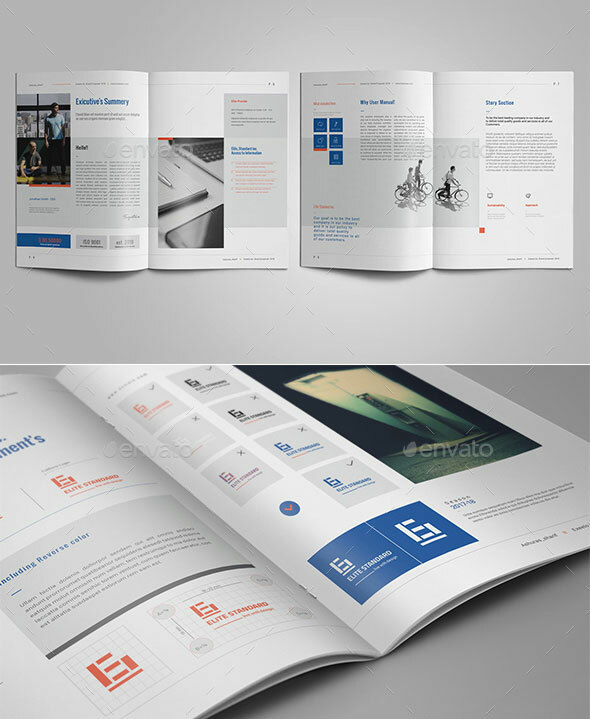 Designed in Adobe InDesign including A4, A5 and US Letter paper size. 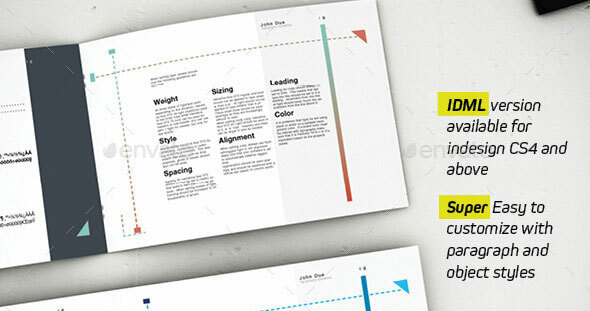 Well organized layers and structured pages using document grid and baseline grid for better positioning of elements. You can change the colors, paragraph and character styles of the entire document in a couple of clicks. 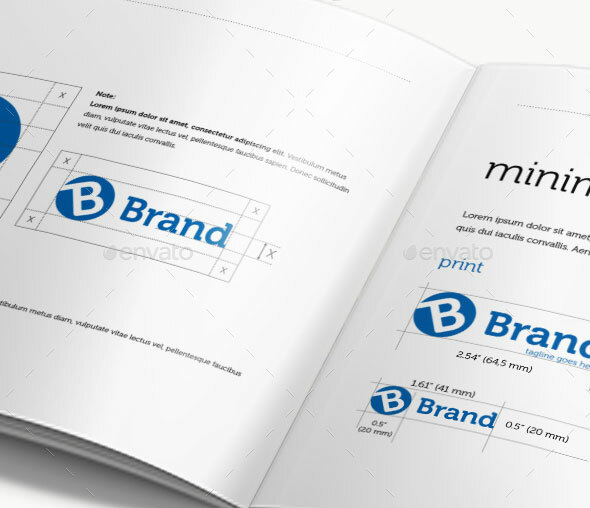 Insert your logo in special fields, replace the text and can safely print. This is very easy to use and change text,color,size,look and everything so please don`t worry about changing. 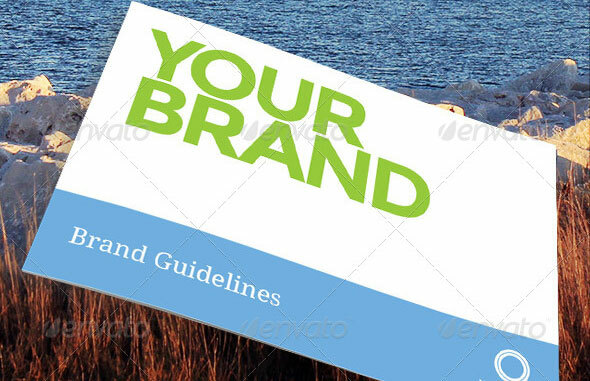 This is a concise template of Brand Guideline to give your clients a taste of the newly designed brand. It gives a perfect shot of how the typeface, color combinations, icon styles etc will look. 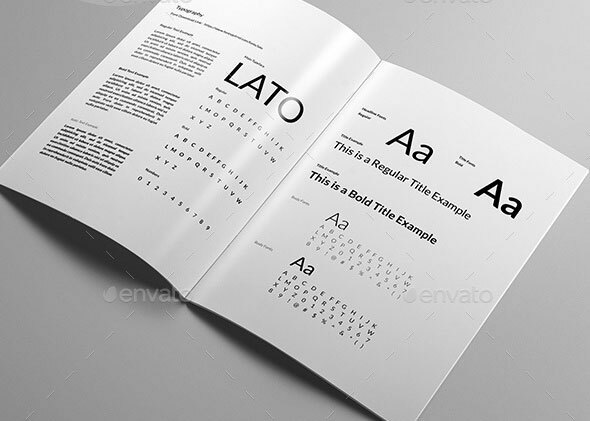 It can work as a beautiful & professional brand identity guidelines template for designers so they can have an amazing asset in their library which can help them in their design presentations, making brand identity guidelines using their favorite design software (Illustrator or Indesign). 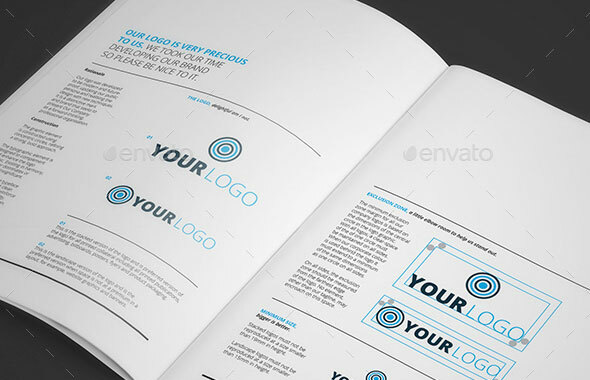 Simply replace the logo, adjust to your brand colors & texts, and send to print or directly to your client via email. Designed specially for designers, freelancers, or anyone working in the creative industries, with 24 logo initials and logo workshop to help you build a quick personal logo from your name that goes with the brand book.